This is a beautiful, restored and modified, 1970 Dodge Challenger RT/SE. 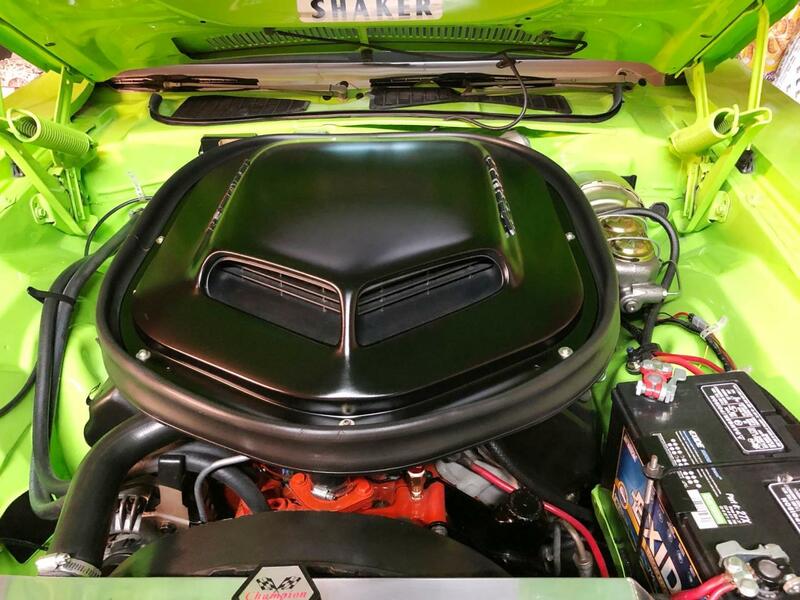 If you're a Mopar aficionado, you'll immediately recognize that the engine in this one can't be original. 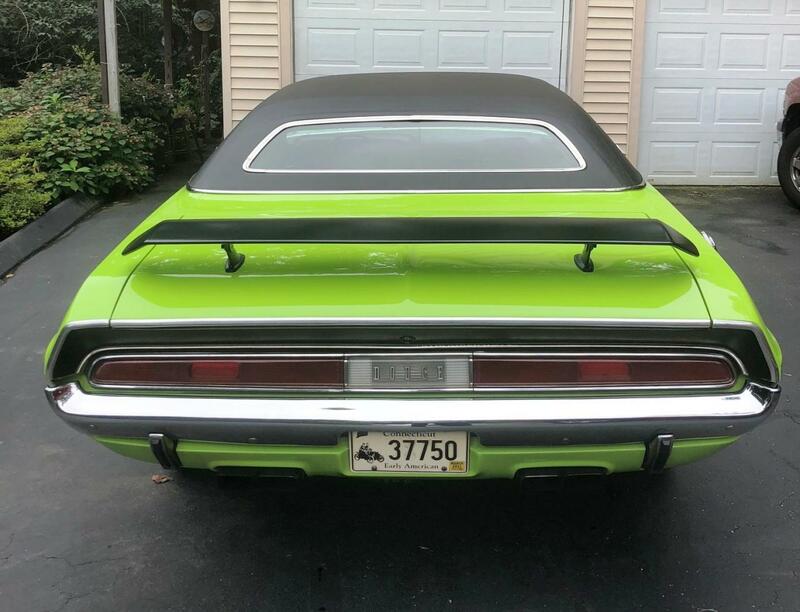 The RT/SE only came with a 383, which wasn't enough for this owner. 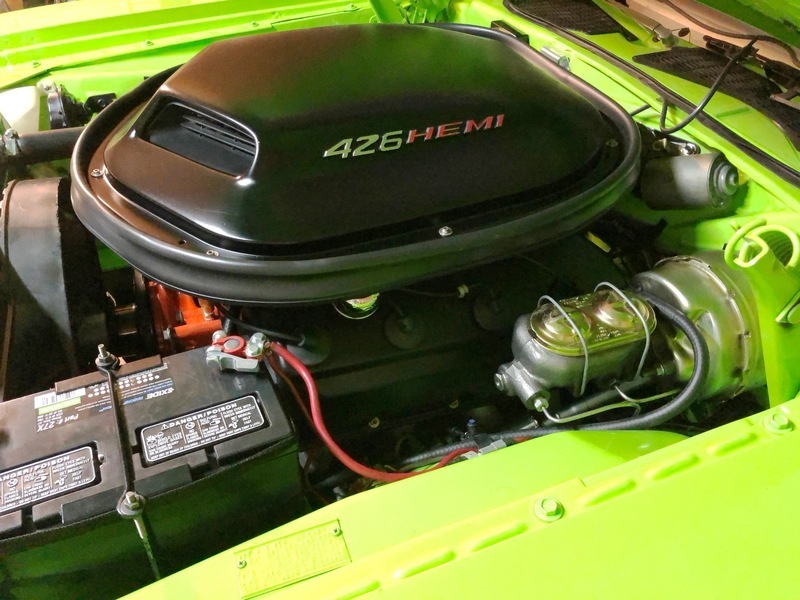 When the car was restored, the owner upgraded the powertrain to a 426 Hemi and mated it with a 727 Torqueflite transmission. 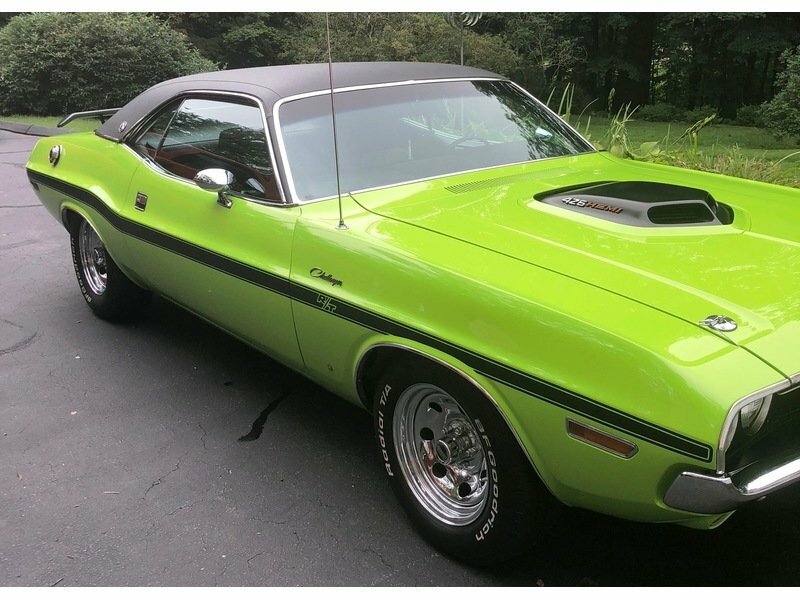 All maintenance on this Challenger has been completed properly and it has been stored in a temperature controlled environment. 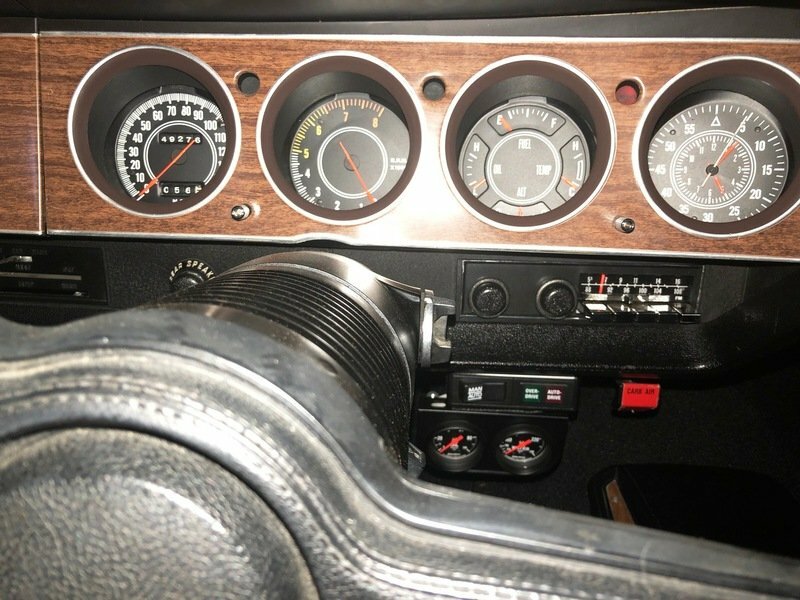 There are plenty of receipts to document the restoration, engine build, and condition of the vehicle. 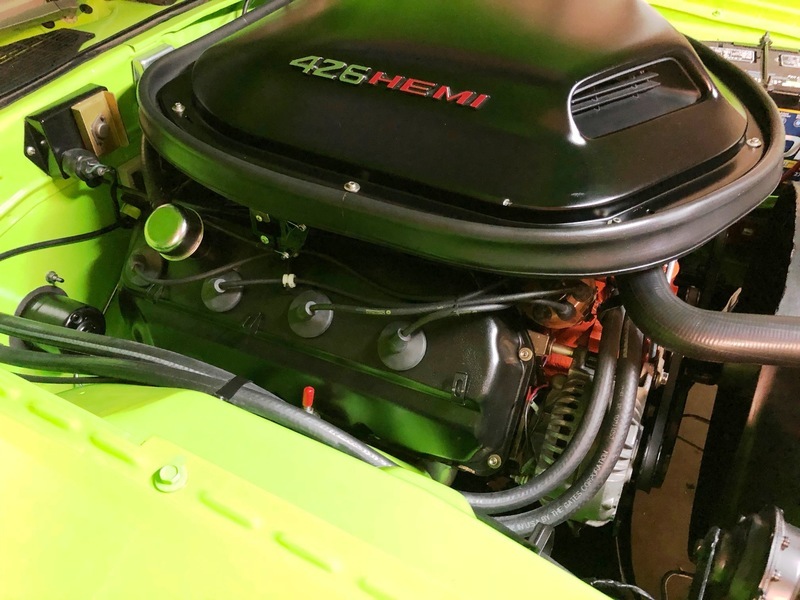 The professionally built 426 Hemi is equipped with a “Shaker Hood”, aluminum intake and heads, and a brand new A727 Torqueflite automatic transmission with a Gear Vendor overdrive. 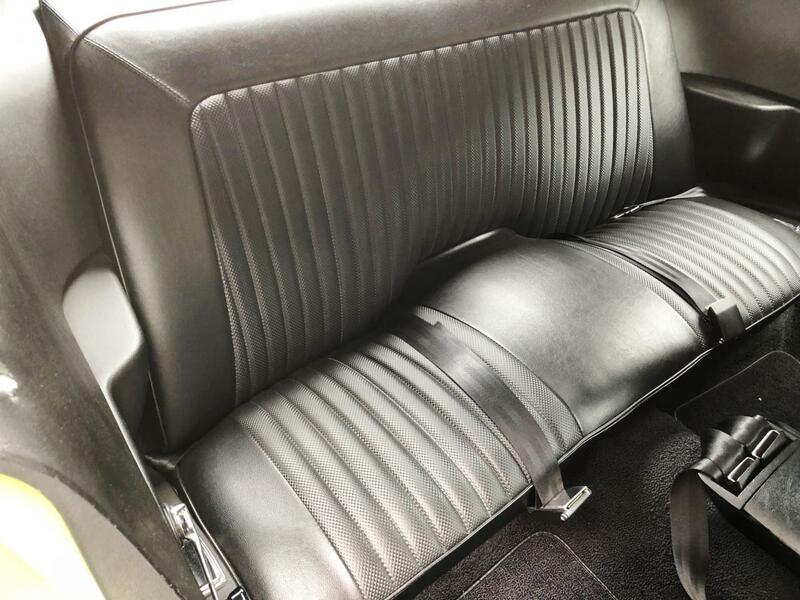 A three row alloy radiator replaces the original, which goes with the car. 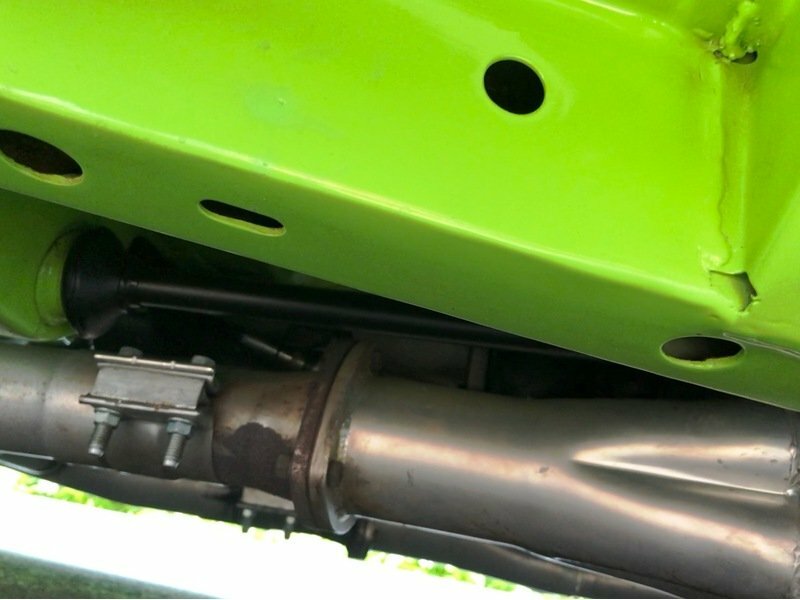 It also has a TTI exhaust system from the headers to the tips and both Edelbrock 600 CFM carbs were recently rebuilt and reinstalled. The Dyno sheet shows over 500 lb. 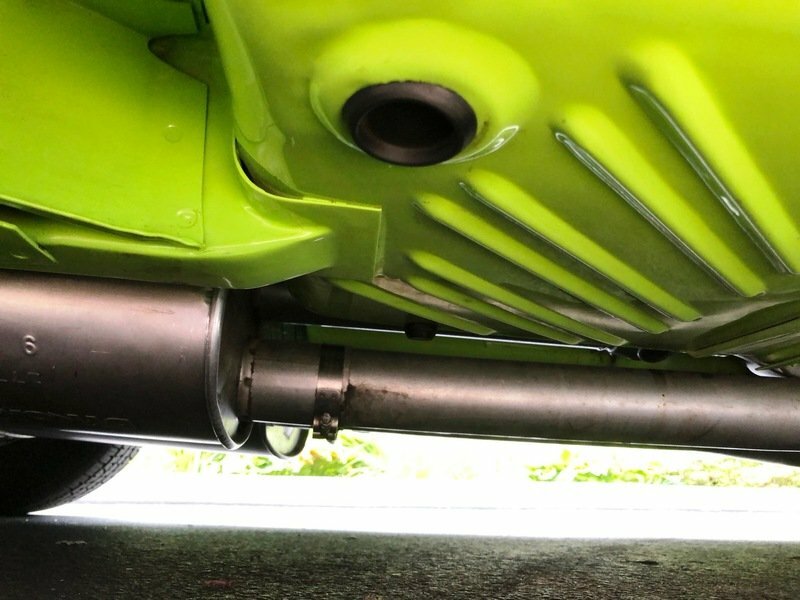 ft of torque and more than 550 HP. 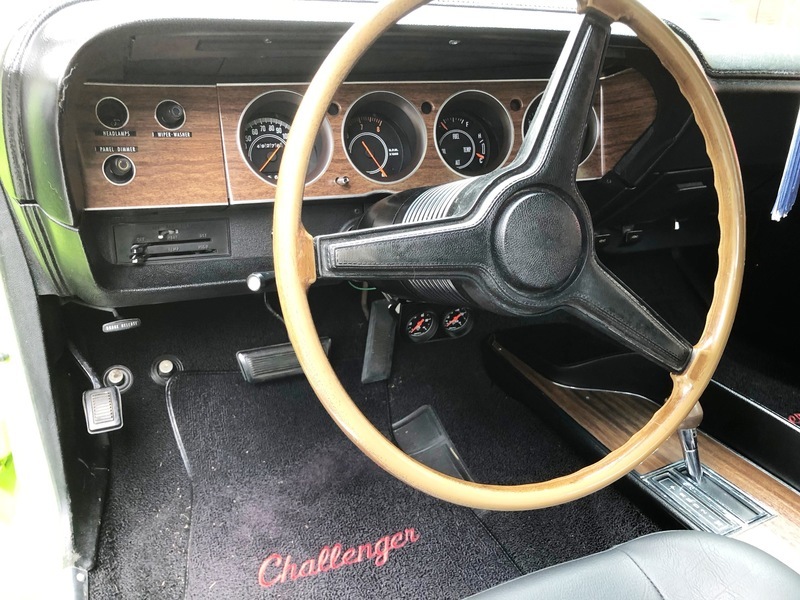 Options include power steering, power front disc brakes and radio. 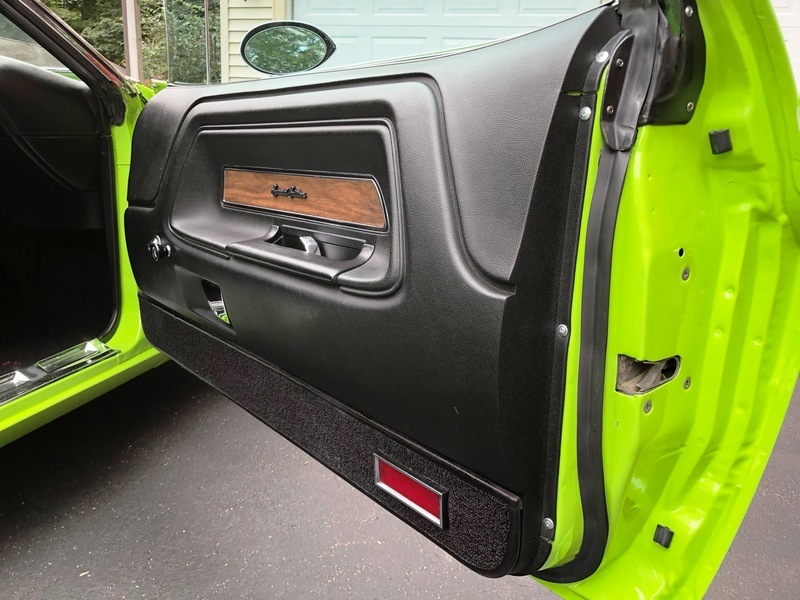 The “Sublime” paint looks new, the bright trim and glass are almost perfect and the interior is in excellent condition. 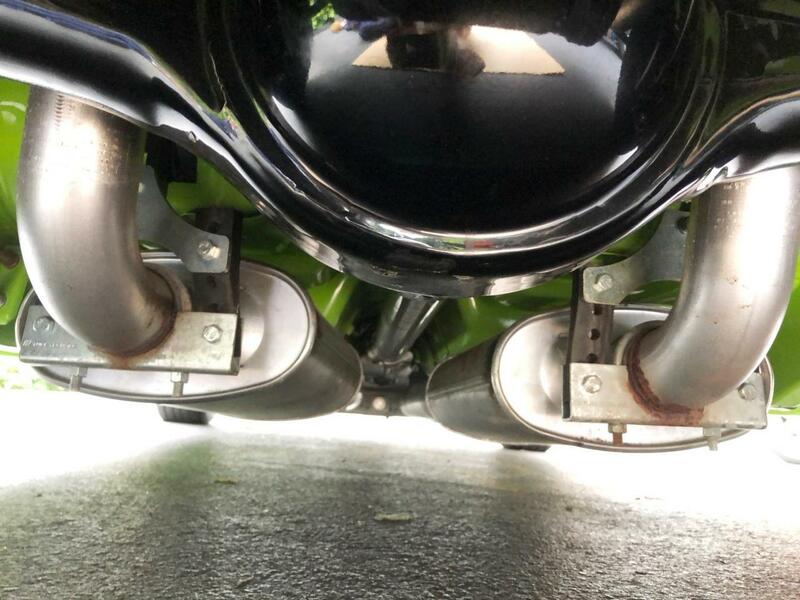 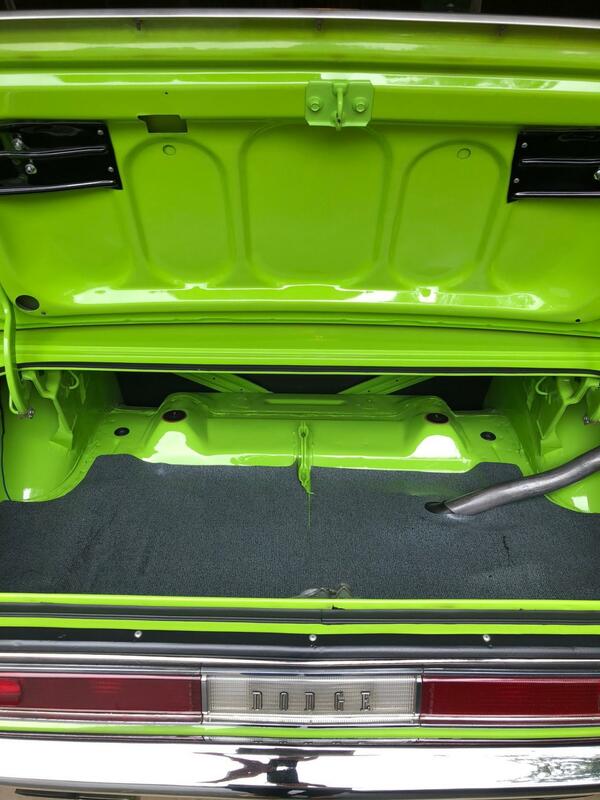 The undercarriage is as clean as the engine compartment. 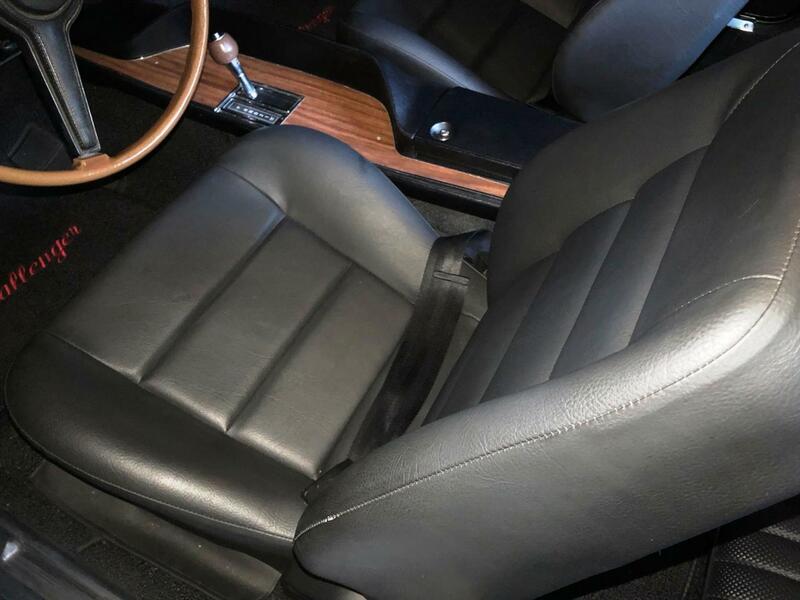 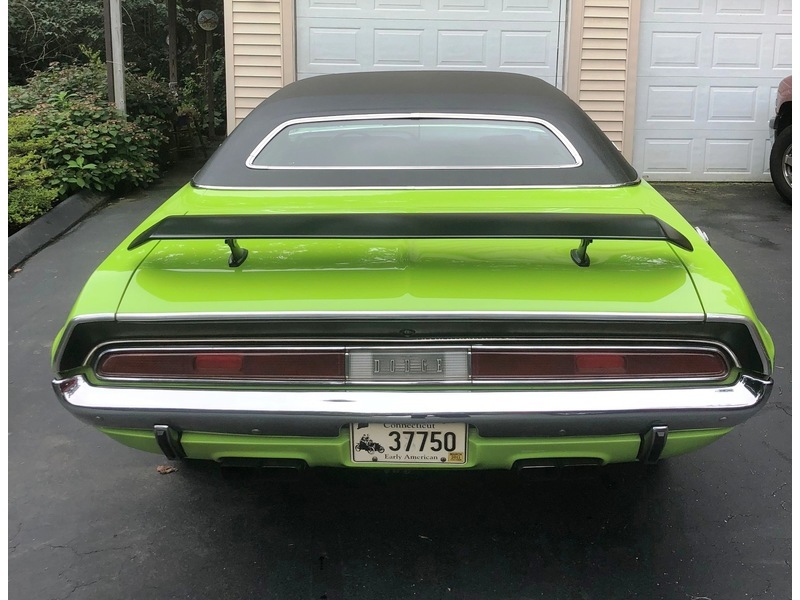 If you've ever wanted to own an authentic 1970’s Hemi Challenger, but didn't want to pay $200K for one, here’s your chance to own a Hemi equipped RT/SE for less than half the price! 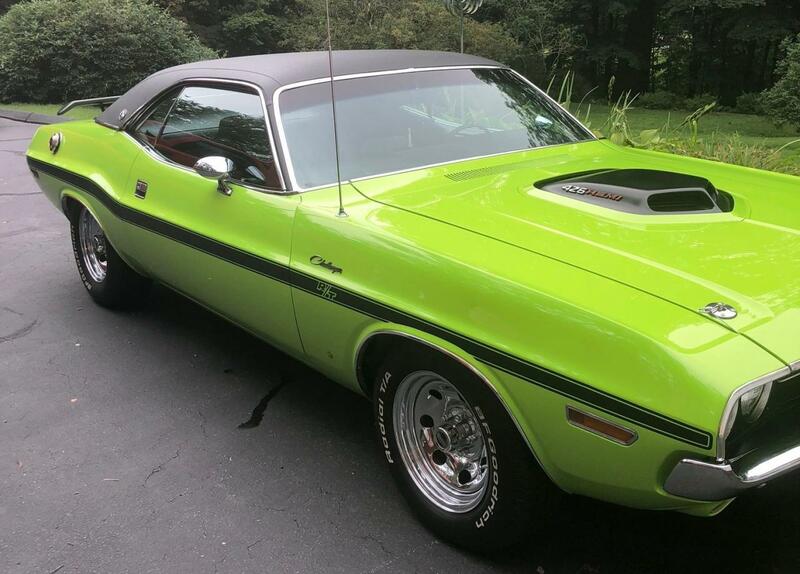 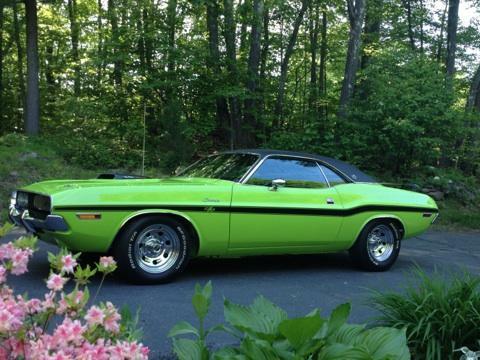 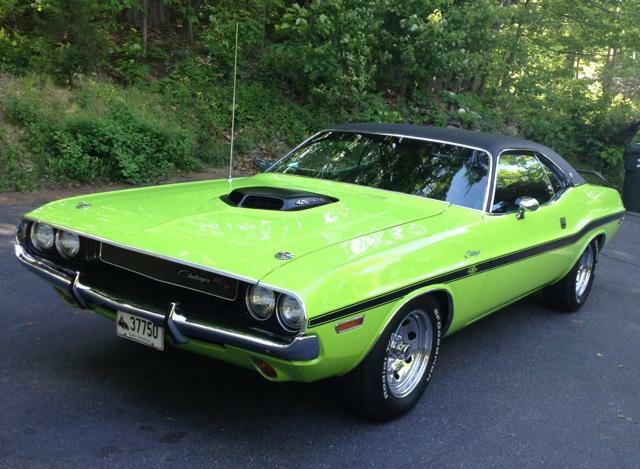 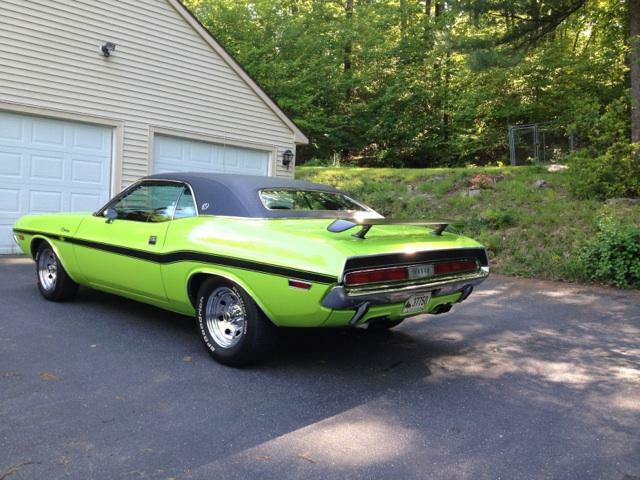 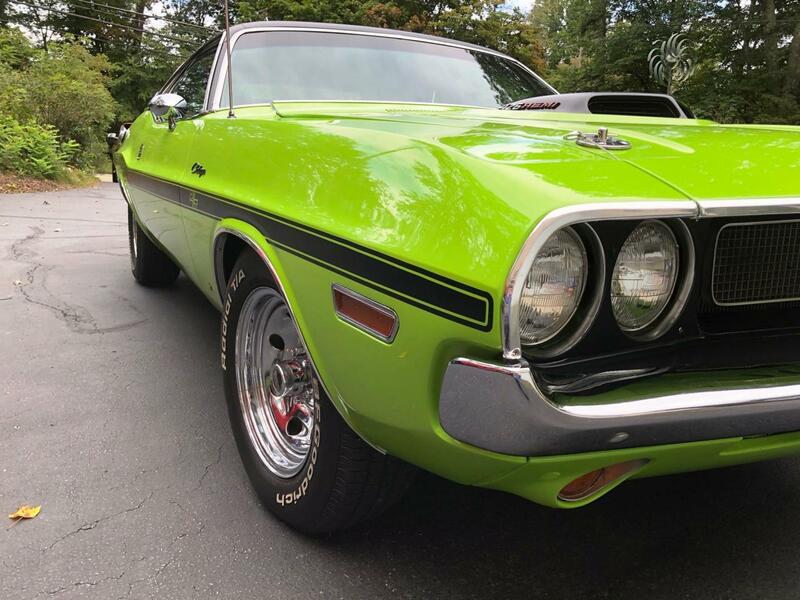 This classic Dodge Challenger is located in Connecticut and available for inspection. 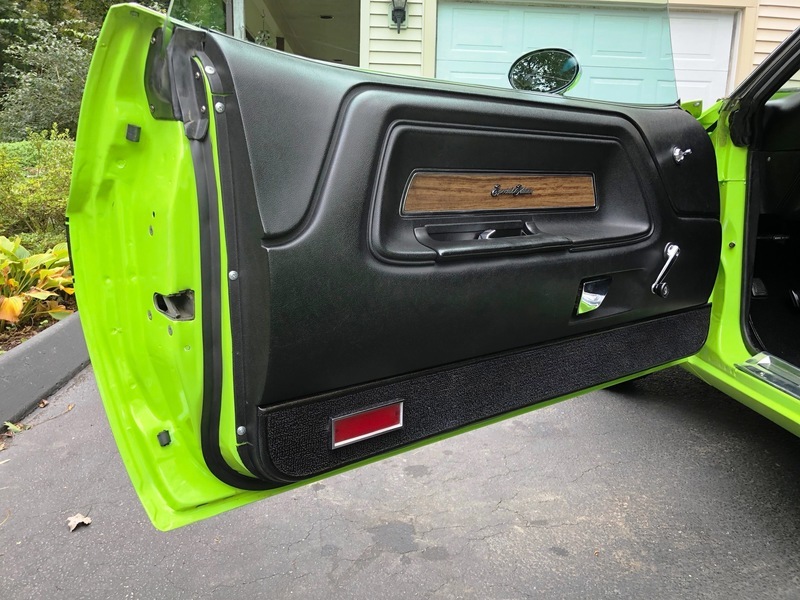 BODY STYLE: 426 Hemi Upgrade!